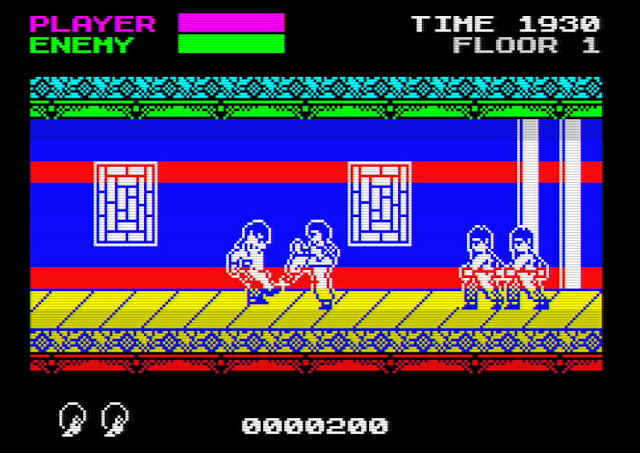 With the end of the ZX-Dev-MIA-Remakes compo fast approaching, you'd think by now there wouldn't be anymore enteries, especially as some hot games are aiming for that top spot such as Old Tower, Maze Death Rally-X, Booty the Remake and even Misifu la gatita (alley cat demake). But now there's another game we should be looking forward to, and that's Mister Kung Fu; a full conversion of the 1980's side-scrolling beat 'em up game Kung Fu Master, which appeared on many different systems such as the ZX Spectrum! Sadly the original ZX Spectrum version wasn't the greatest of games, with many saying it was down right terrible featuring lack luster flickering graphics, awful control, iffy scrolling and poor hit detection. But this new conversion by eltonbird looks most impressive indeed, and many would say as the game should've looked all those years ago. So what's going to be changed with this upcoming conversion? Well not only will it be running at 50 frames per second giving us smooth gameplay, but there will be all 5 floors, 5 bosses and all the arcade enemy types, as well as fitting a 48k memory profile, look so so much better and have an AY Soundtrack! 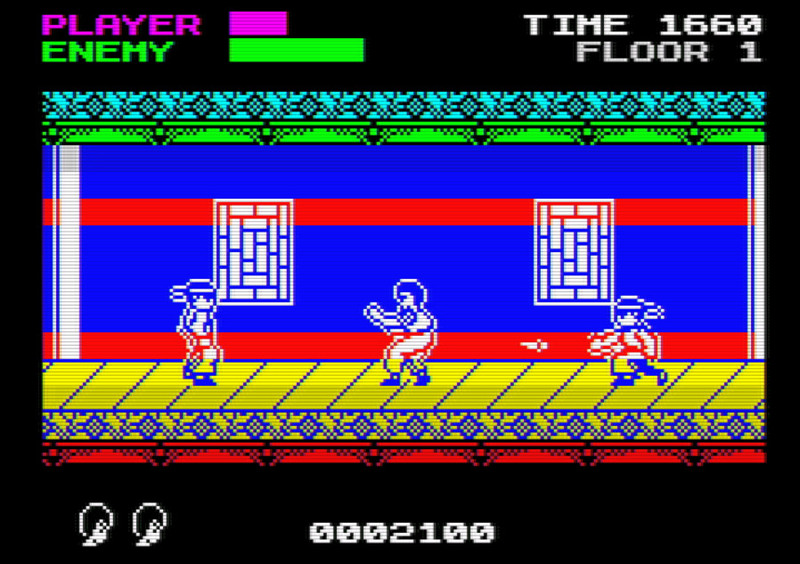 So yes, look out for this one as if you really didn't like the original Kung Fu Master then put that aside never to be seen again and play this one instead.